Wahida CD release party! | Wahida! 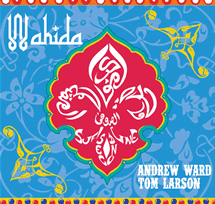 Please join Andrew Ward and Tom Larsen on Thursday, March 14 from 7-10 pm at 45 Tchoup (4529 Tchoupitoulas, across from Rouse’s Supermarket) for our official Wahida CD release party! Free sub-continental food, great music and great friends at a great place!